Learn the history of the Zabrak species, the people of Darth Maul, Eeth Koth, and Agen Kolar. Both the video & article contain some Legends information. Zabraks were a humanoid species native to Iridonia with some key biological characteristics that distinguishes them from humans. The most apparent physical characteristic is the series of vestigial horns that adorns the skulls of both males and females. Their horns grew in puberty and marked the time of their rite of passage. When the Zabraks came of age, they would receive facial tattoos that honoured their family, history and unique personality. Multiple subspecies existed and they differed in skin tone, hair growth and horn pattern. According to Wookiepedia, the variations include skin tones of pure white, yellow, red, tan, brown and black and non-human eye colours such as purple, yellow, red and orange. Physiologically, they had a second heart and a higher than average tolerance for pain. Being a humanoid species, they were also capable of breeding with humans to evolve the hybrid sub-species the Dathomirians. The Zabraks were one of the earliest galactic species to achieve space travel, and established many colonies. Frequently you could see competition and rivalries between the Zabrak colonies, though this was not seen as a negative trait. The Zabraks believed that the livelihoods and experiences from differing colonies only added to the race’s value and stature throughout the galaxy. On Dathomir there was a clan of Zabrak males known as the Nightbrothers that lived under the rule of the Dathomirian Nightsister. The Zabrak people were independent and fought against imperial occupation and political acts from the empire including garrisoning their worlds and raising taxes that drove them to poverty. Force sensitivity among the Zabraks was not uncommon and could be found in both the Sith and Jedi Orders. Zabrak Bao-Dur served under the Jedi Exile and helped bring an end to the Mandalorian Wars and Eeth Koth and Agen Kolar both served on the Jedi Council. 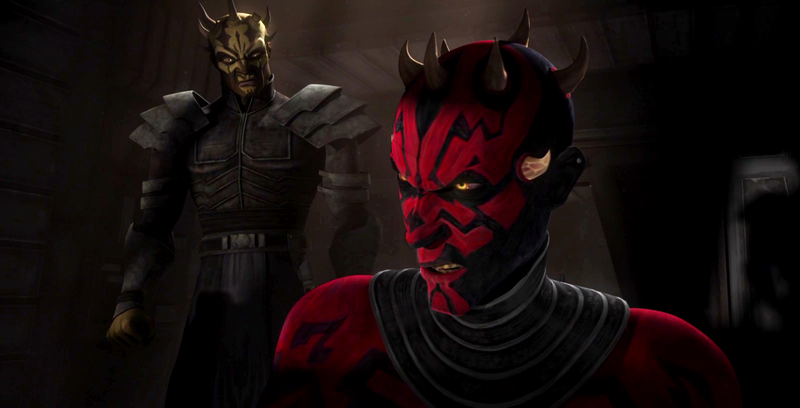 Perhaps the most notable Zabraks to feature in the Star Wars universe were Darth Maul and Savage Oppress who were both significant dark-side users during the Clone Wars. Hopefully, we will see more of Maul in futre films or a sequel to Solo: A Star Wars Story, however, a recent commentary with writer Jon Kasdan suggests that further films are unlikely to happen for the time being.